Marketing is an approach to social programme design and delivery that should underpin how governments and not-for-profit agencies develop and select policy, shape how services are delivered, and build sustained partnerships with citizens and other stakeholder organisations. However, marketing is a very often misunderstood and misapplied within Government (which includes all local, regional, national, and international public-sector departments and agencies; as well as not-for-profit organisations such as schools, universities, public transportation, and police and fire services). This misunderstanding and misapplication results in government programmes designed to help citizens and tackle social issues functioning at a suboptimum level in terms of both their effectiveness and efficacy. With the context of global budgetary constraints, and new and rapidly developing relationships between states and citizens around the world, now is a good time to reappraise why marketing has not been comprehensively incorporated into the heart of government strategy and what the impact of such a shift might be for both government programmes and the concept of ‘marketing’ itself. There is a pressing need for governments and not-for-profit agencies to move away from a limited, individually-focused managerialist culture characterised by expert problem definition and solution generation, and dominated by a limited intervention tool box consisting of information giving, and the application of disincentives and occasionally incentives focused mainly on individualist responsibility. Rather, the approach needed is one built on citizen insight about what people value and what will help them, and the application of a full intervention mix of both rational and non-rational choice approaches. Adopting a strategic approach to the application of marketing within government is an indicator that governments respect and value citizen input into the selection of policy priorities and the development, implementation, and evaluation of social programmes. Marketing, if applied strategically, is also a reflection of an approach that values mutuality and coalition delivery. A strategic approach to marketing can help muster coalitions and social assets from the business sector and communities, and to help understand the root causes of social problems whilst also developing comprehensive strategies to address them. A good example about how marketing principles can be systemically applied to tackle social problems can be found in the corporate adoption, by Public Heath England, of a long term social marketing strategy to inform and guide all of its programmes. These multi-component programmes are planned on the basis of clear measurable behavioural objectives: they are informed by deep target audience understanding and delivered via segmented interventions in partnership with the public sector, the NGO, and the private sector. The results of this systematic application of marketing to guide and drive strategy have been impressive over the ten years of its operation. 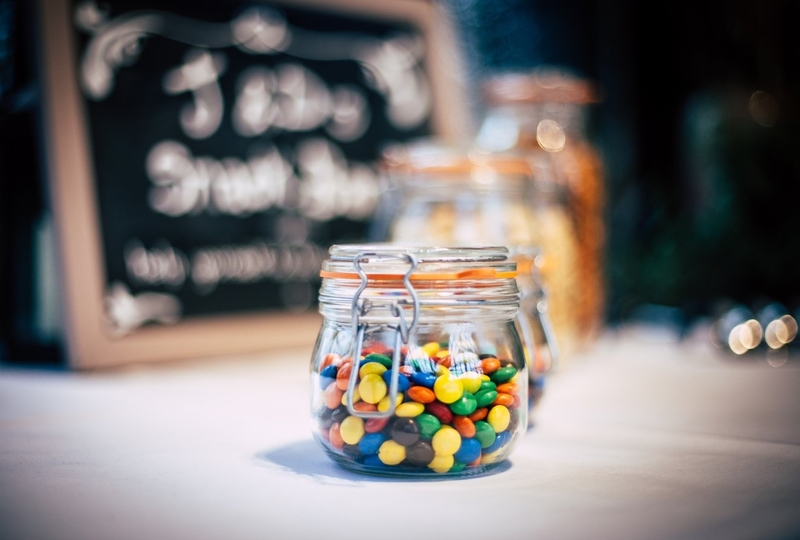 For example, the ‘Change4Life’ social marketing programme has resulted in 30% of mums reporting that the programme made them reduce their child’s sugar intake. There has been a 4% decrease in sales of sugary cereals, a 3% decrease in sales of sugary drinks, and a 4% increase in the sales of diet drinks. The ‘Be clear on cancer’ programme has resulted in 30% more referrals for suspected lung cancer. The ‘Act Fast’ stroke identification and early treatment programme has resulted since its launch, in 5,365 fewer people becoming disabled as a result of a stroke, giving a return on investment of £28 for every £1 spent. Image by Clem Onojeghuo. CC0 Public Domain via Unsplash. Politicians and policy officials who sit to both the left and right of the ideological spectrum have an antithesis towards social intervention strategies that can be viewed as in anyway bypassing considered, rational decision making. This disquiet is driven by a view that citizens need to make informed, conscious decisions about why and how to behave for their own and society’s social good. This preference leads to an intervention strategy bias in that favours social advertising and digital communication channels, and the use of incentives and disincentives systems such as fines, penalties, or rewards to influence decision making and behaviour. A further consequence of this view is that marketing, in this context, is relegated to the role of developer and executor of social promotions. A further consequence of this bias is the paradox that many government programmes that seek to influence population behaviour have a focus directed at individual responsibility and action, rather than a collective holistic societal response. Marketing’s role is conceived as being about influencing individual voluntary choice to do the right thing, be it not smoking, recycling, or obeying littering laws. This approach throws up a further, often sighted criticism of ‘Social Marketing’: that it represents a neoliberal conception of social policy which ignores the causal conditions and factors that sit at the root of most social problems. Marketing is also viewed as a reductionist managerial mind-set that seeks to reduce all social issues down to discrete individual behaviours that produce a targeted, rather than holistic, conceptualisation of problems and their solutions. ‘Social Marketing’ also meets resistance among some government ministers and policy officials who sit on the left of the political spectrum due to their deep mistrust of the market as a solution to any social challenge, and their belief that marketing is about covert persuasion thorough the application of ethically questionable interventions that bypass rational voluntary choice. In part two of this blog I will explore why the application of marketing as a core part of social policy selection, development, and delivery is often resisted by civil servants and those in power. Featured image credit: Image by StockSnap. CC0 Public Domain via Pixabay. Professor Jeff French is a global thought leader in the fields of behavioural influence, social marketing, social programme planning and social communication. In addition to his visiting Professorship at Brighton University and Fellowship at Kings College, University of London, he is a published author, and CEO of Strategic Social Marketing. 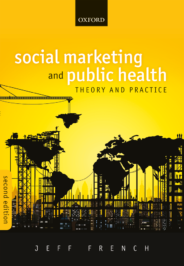 His book, Social Marketing and Public Health, is now available in print.